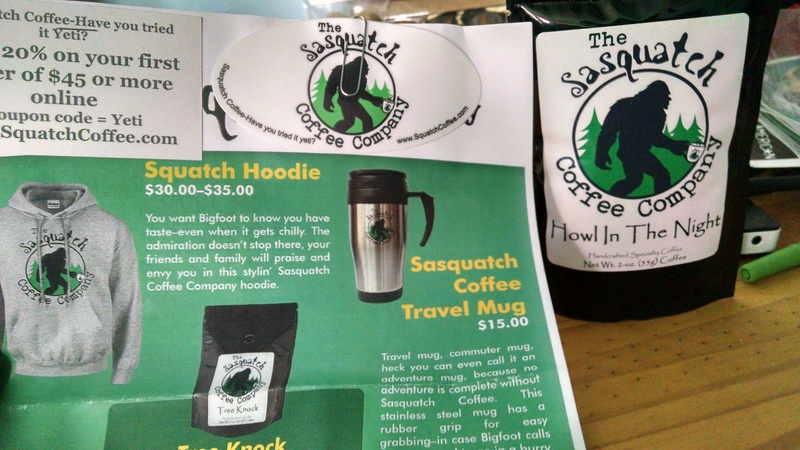 I kept getting advertisements on Facebook “buy coffee from The Sasquatch Coffee Company” and I kept thinking Oh geez another company trying to make a fast buck off my buddy Squatch. 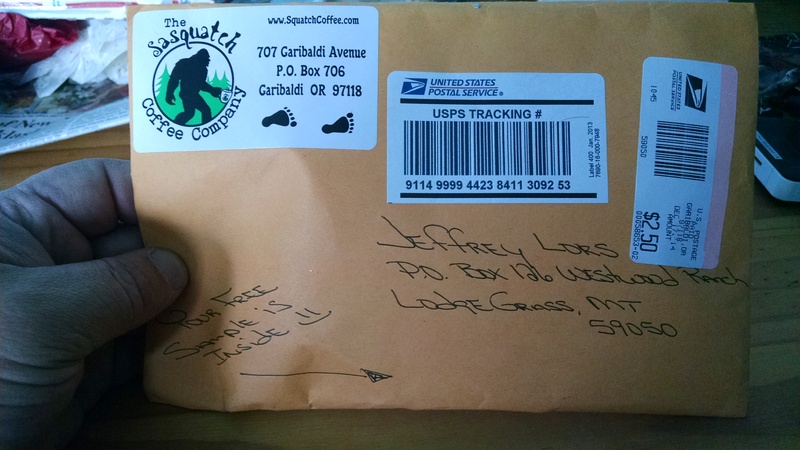 I finally started tooling through their website ( http://squatchcoffee.com/ ) and somehow landed on the “free sample”! I enrolled because heck it was free and figured nothing would happen! Bam, Sasquatch comes knocking on my door! Well, in the form of some good good coffee! Allow me to digress – 20 years ago, South Korea (pre Starbucks), and I had to send to the states for good coffee (Pete”s Coffee). So, I love love love good coffee! I opted for the Howl in the Night coffee “A dark french roast offering a caramelized taste accenting the pronounced earthy quality of Sumatran beans, complete with a deep deep complex body”. This coffee is so so so good! It has a taste that Sasquatch and I both enjoy – earthy, woody, with a long aftertaste that is so incredible. 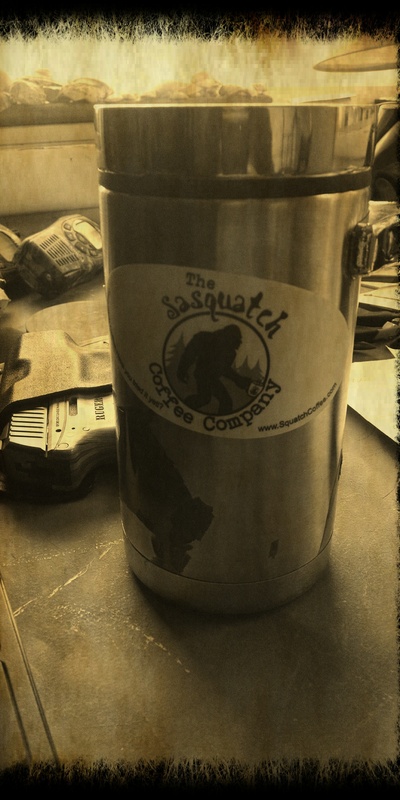 I will have this coffee with me this next season of Squatching up in the Big Horn Mountains here in Lodge Grass, Montana – I know, I saw Sasquatch this last year near treeline up near Windy Point. Don’t try to 4wheel up because it is Crow Indian only! 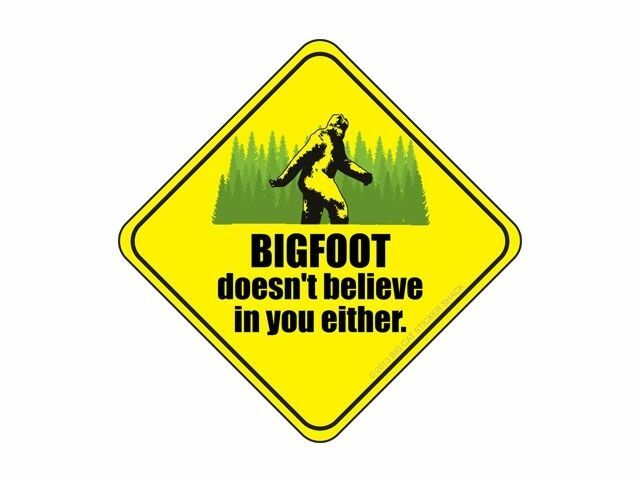 Reservation Sasquatch – and yes, he has been seen many times and I have listened to many stories involving the Big Horns and Sasquatch. Well, that is another story!